Who is happy to be wearing flannels again?! 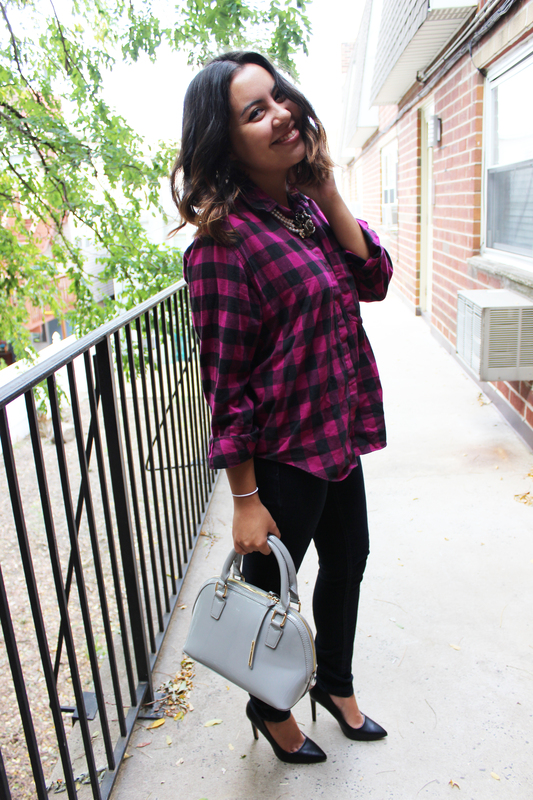 One of the reasons I love this comfy fall staple is that it is great for dressing up or down. Today I wore it as a more fashion casual look. A lot of companies are thankfully switching over from business casual to fashion casual, which in my own definition is a step up from jeans and a tee, and a step down from a skirt suit. It really has different definitions in each company, but in general it usually means looking polished with a stylish flair. 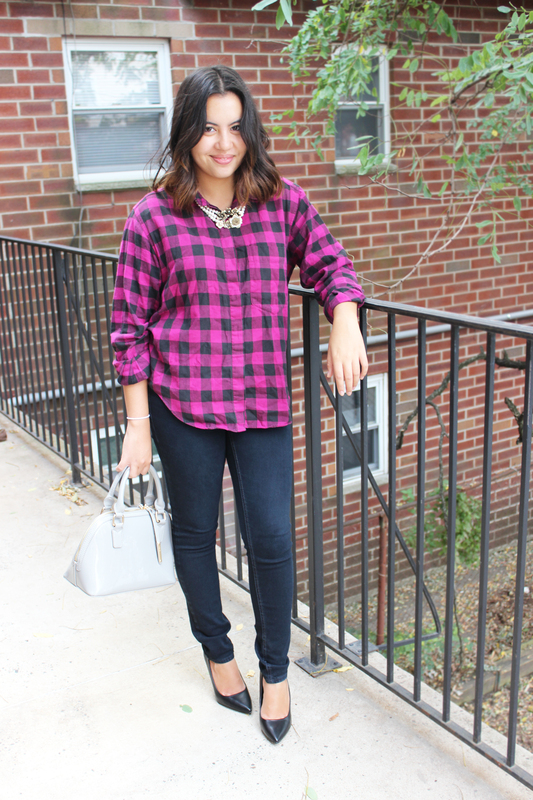 To take my flannel from weekend to work day I added a pearl statement necklace and a pair of pointed pumps. My pearl necklace is from Designs by Mila. You can check out her Etsy page which has tons of great vintage and handmade jewelry. I got my pumps from Forever21 for only $20! Sizing isn’t normally a problem when I order shoes online, but these ran big for me. I had to return them at the store and get a whole size down, so they wouldn’t slip off my heels, but other than that they are really nice looking pumps for the price! I paired the whole outfit with a light grey BCBG purse. Thanks Amanda! Loving your style on your blog as well! Couldn’t agree more! So comfy.